From the age of five Ben started playing music and singing. He was brought up initially on Classical music, before getting into Rock n Roll, Hip Hop, Jazz and Jungle. 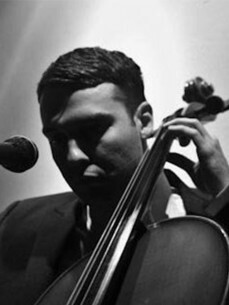 Subsequently, he's a trained cellist, vocalist and pianist. In 2001 Ben moved to Bristol with the sole intention of making music. After getting himself set up, Ben was signed by GIlles Peterson to his label Browswood Recordings, after hearing a demo by chance in the back of a Saab 900. In 2007 Brownswood Records released Ben Westbeech's debut Album 'Welcome To The Best Years Of Your Life.' This release led Ben to tour the world both as a live act and as a DJ at prestigious events and clubs including Summer Sonic (Japan), Glastonbury, The End, Cielo (New York), Fabric, Yellow (Japan), The Jools Holland Show (TV), Pardiso (Amsterdam), Pacha (Ibiza and Moscow), Ku de Ta (Bali) and Mercati Generali (Italy) amongst many others.